Are you looking for a small portable printer for your office on the go? Or are you looking for a printer to print your photo’s? Well then we have great news, we have the printer that you need! 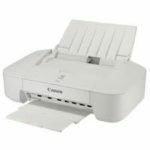 The Canon Pixma iP2840 was designed just for you! Contact us today to find out more about this great printer at an amazing price! Prev PostDo you have viruses?